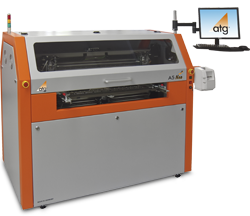 With the A5 Neo, atg-LM introduces a new version of the well-proven A5/A6 technology. The basic version of the system is equipped with a universal shuttle system with clamping and tension mode for flexible and rigid board testing. The A5 Neo also comes with soft touch pins reducing the witness marks on the boards. In India Bergen is coming up with MV VFD range in collaboration with our technology partner Nancal Electric.